1884 built as BELLINGER for G.W. Nicoll, Sydney. 1884 sold to Belfast & Koroit S.N. Company. 1887 sold to B.B. Nicholl of Sydney, N.S.W. 1890 sold to E.T. Miles, Hobart. 1894 sold to T.A. Reynolds & Partners, Hobart. 1896 sold to Union Steam Ship Company of N.Z. Ltd., Dunedin. 1897 sold to Northern Steam Ship Company. 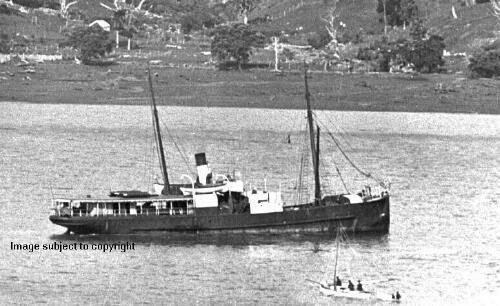 1908 May 27th wrecked West Chicken Island near Whangarei. No casualties.